The previous week in MLB was about a pair of young players signing contract extensions, and a team in the American League places two players on the injured list. The Atlanta Braves have ensured one of their best young players will be with the club for the foreseeable future. The club has signed outfielder Ronald Acuna Jr. to an eight-year, $100 contract extension and it includes club options for the 2027 and 2028 seasons, per a club announcement. The extension buys out his three years of arbitration; he’ll remain with the club through the 2028 season if both club options are exercised and it’s the most massive deal in history for a player with as little major league service time as Acuna Jr. The deal will start this season, including a $10 million buyout on both options which are worth $17 million each, per Jeff Passan of ESPN. 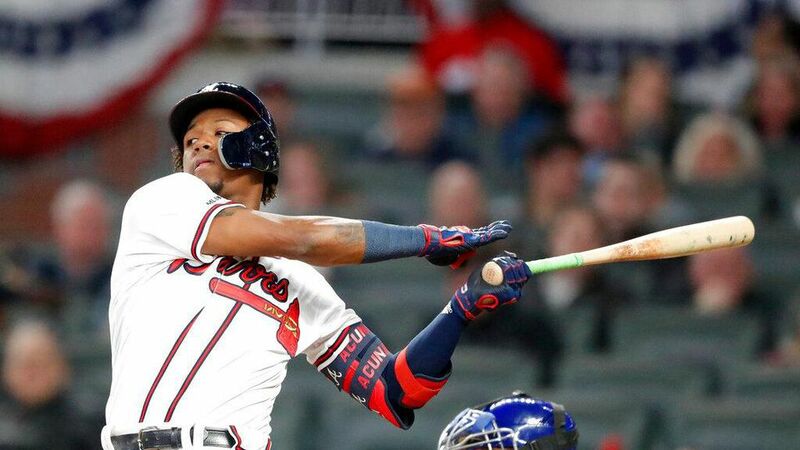 Ronald Acuña’s deal with the Braves begins this season and guarantees another seven years. It includes a $10M buyout on two options that are worth $17M each. Acuna had a spectacular rookie campaign with the Braves last year as he compiled a .293 batting average and .917 OPS in 111 games with 26 doubles, 78 runs scored, four triples, 26 home runs, 64 RBIs and 16 stolen bases. The impressive production from Acuna allowed him to win the National League Rookie of the Year Award last season. The extension for Acuna is excellent for both sides as the Braves has an uber-talented player under club control for nearly a decade on a contract which is extremely team-friendly. Acuna receives financial security and won’t have to deal with arbitration as his salary is set for the next several seasons. Acuna is one of the best young players in MLB, and it’s excellent the Braves were able to sign him to a long-term extension. The Colorado Rockies have inked one of their starting pitchers to a multi-year extension. German Marquez and the Rockies have agreed to a five-year, $43 million contract extension, per Jeff Passan of ESPN. The extension includes a club option for a sixth year which can turn into a mutual option if Marquez finishes with two top-three finishes in Cy Young voting during the life of the contract. The deal covers all his arbitration years and at least one year of free agency. The right-hander was solid last year for the Rockies, by posting a 3.77 ERA in 196 innings pitched (33 starts) with 230 strikeouts, 57 walks issued, 24 home runs yielded, a 124 ERA+ and a 3.40 FIP. Marquez is off to a strong start for the 2019 campaign as he’s posted a 0.69 ERA in 13 innings pitched (two starts) with 14 strikeouts and just one run allowed. The extension for Marquez is terrific for the Rockies as they have a potential ace signed at a discount. The New York Yankees are dealing with injuries and placed two critical players on the injured list last week in outfielder Giancarlo Stanton and infielder Miguel Andujar. Stanton is dealing with a left biceps strain, per a team announcement. Prior to tonight’s game, the Yankee placed OF Giancarlo Stanton on the 10-day IL with a left biceps strain and recalled OF Clint Frazier (#77) from @swbrailriders. Andujar has a small labrum tear in his right shoulder, he’ll be treated conservatively for two weeks, but may undergo season-ending surgery, per Bryan Hoch of MLB.com. Stanton was struggling before the injury as he tallied only two hits in 15 plate appearances over the first three games with the Yankees. The Yankees did recall outfielder Clint Frazier from the minors, and he’ll have an opportunity to earn playing time with Stanton injured. The injury for Andujar is more severe as he could be done for the entire season. The infielder finished second in the American League Rookie of the Year voting last year. He played a significant role in the Yankees making the postseason last season.